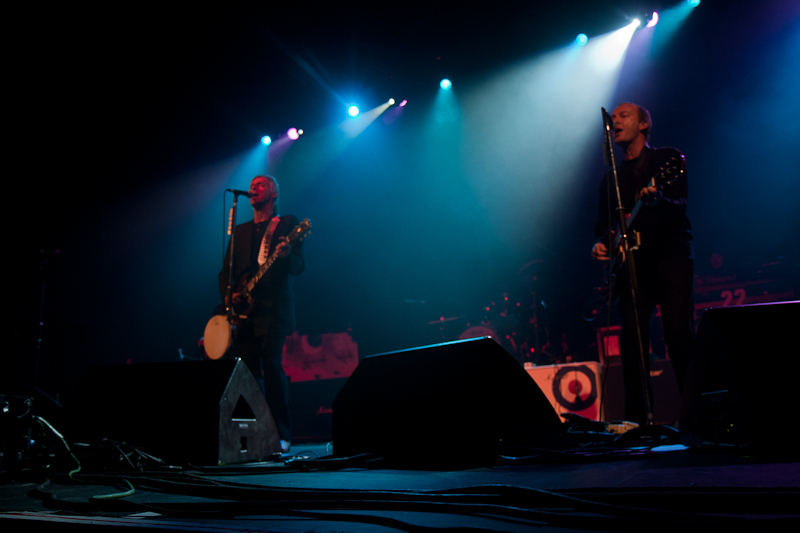 Paul Weller In Ireland! – Paul Weller News! 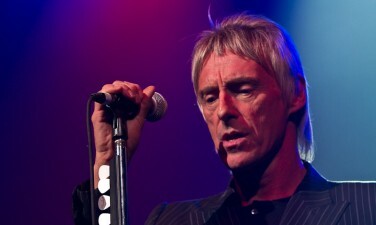 Swaggering on stage to a Northern Soul compilation, Paul Weller and his Merry Men open with ‘Aim High’, an energetic and soulful ballad from his latest record, Wake Up the Nation, which, along with it’s predecessor 22 Dreams, is universally considered a return to form for The Modfather. His streamlined band effortlessly injects so much rhythm and soul into the track without overloading on backup singers and unnecessary percussionists that it’s hard to believe that there are only five musicians on stage. From ‘Aim High’ right through to live staples ‘The Changing Man’, The Jam’s ‘That’s Entertainment’ and The Style Council’s ‘Shout to the Top!’ is a groove of songs that are ferocious and exhilarating, rendering Weller and his band as a force of nature. Weller moves from guitar to piano for the Dr. John-esque ‘Trees’ and the wary, late night feel of ‘Invisible’, which brings the tempo right down as the band take a breather. 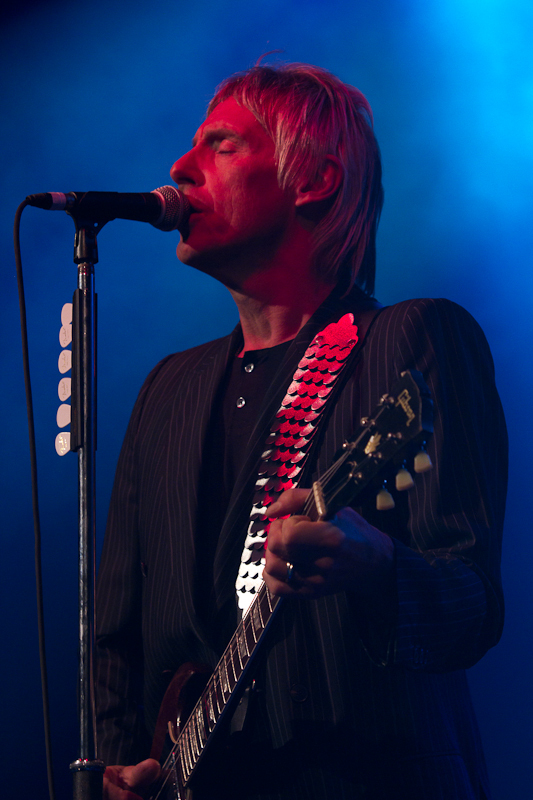 What then follows is a cluster of songs that are a revision of Weller’s punk roots. 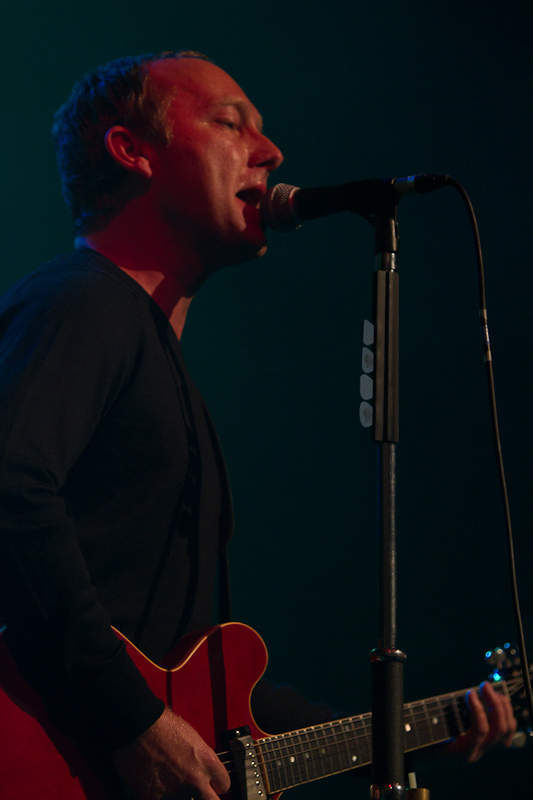 Recent additions to his songbook, ‘Fast Car/Slow Traffic’, the state of the nation address of ‘Wake Up the Nation’ and ‘Come On, Let’s Go!’ fuse effectively with The Jam’s ‘Start!’ and, most notably, ‘Pretty Green’, The Jam’s angry, vitriolic riposte against consumerism, which more than strikes a chord with this Dublin audience. 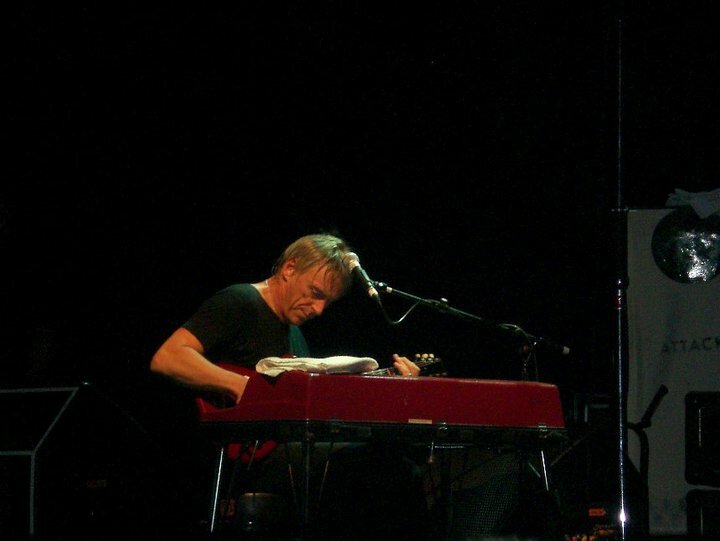 An encore of the soulful, lilting ‘Broken Stones’, from 1995’s Stanley Road and the jazzy and chaotic ‘Pieces of a Dream’ offer respite and have the crowd swaying to Weller’s gentle and fluid playing on mellotron and piano, respectively. Weller returns to guitar for The Jam’s ‘Art School’, followed by an incredible version of The Jam’s ‘Scrape Away’. Its post-punk darkness and intensity feels like a summary of the encore. 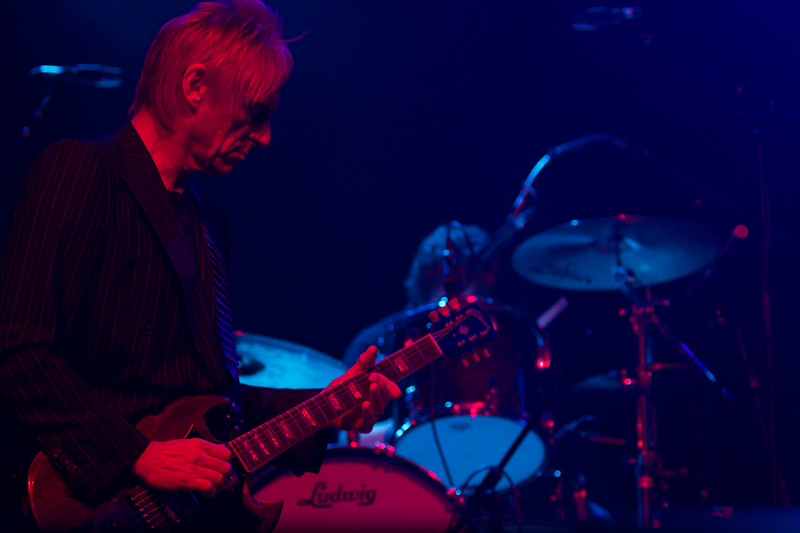 During the 2nd Encore, the archetypal solo-Weller song ‘Peacock Suit’ is followed by a sprawling and heady ‘Whirpool’s End’, a song which encapsulates Weller’s at times gruff, at times angry, at times soulful voice as the band harmonize, take advantage of the space to jam, tune in, tune out and elevate the show to unprecedented heights with a seemingly endless crescendo. 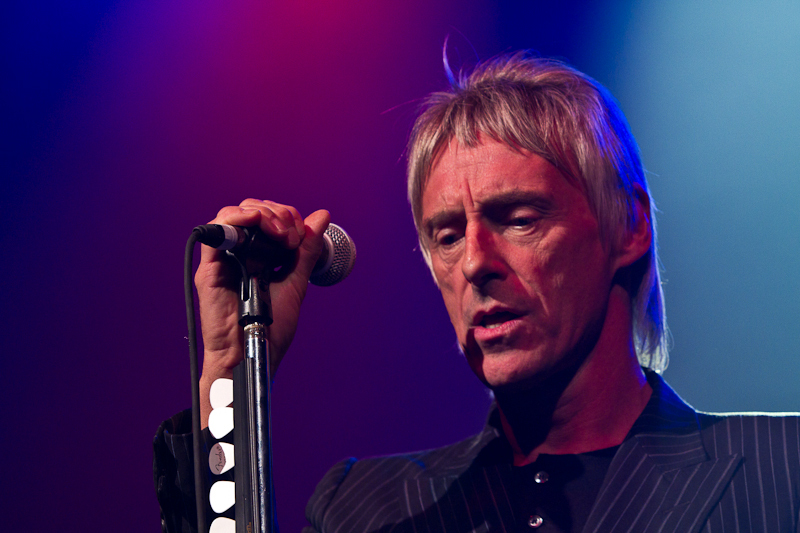 What becomes most clear, tonight, is what Weller does so well live: he shows you that anything he’s written recently can sit beside his previous work with The Jam and The Style Council, in terms of style and, sometimes, in terms of quality. Recent songs are meticulously placed against his wealth of previous material to reflect each other. Not only does he show you that, of late, he has written jazz-structured pop not unlike The Style Council, but that he is as angry on Wake Up the Nation as he was on In the City, Sound Effects or Setting Sons. 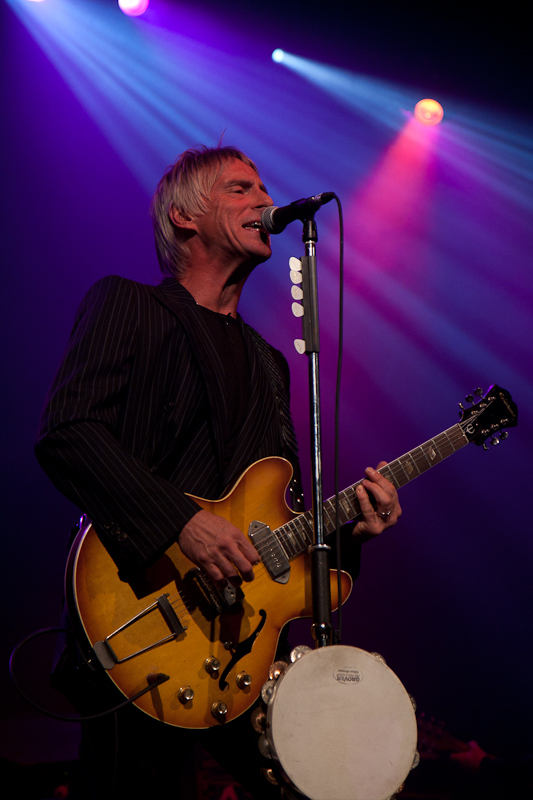 Weller’s most impressive live achievement (topped only by Neil Young) is his ability to start working with the conventions of a song’s verse-chorus-verse structure, only to abandon those conventions mid-flow, disappear into a jam, loosen up the feel of the song, add interesting dimensions that may not be there on record, only to return full circle to the song as if nothing happened. That, unquestionably, is Paul Weller’s 23rd Dream. 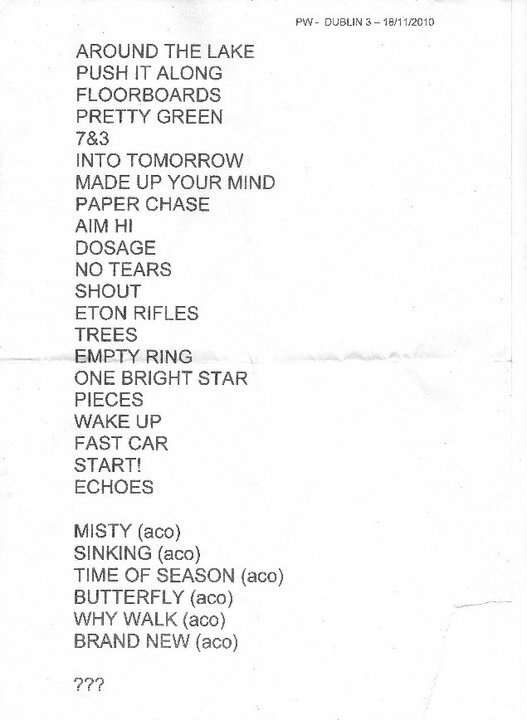 Set List & Image From Svenja! Previous Entry Paul Weller On The Radio Wednesday November 17! 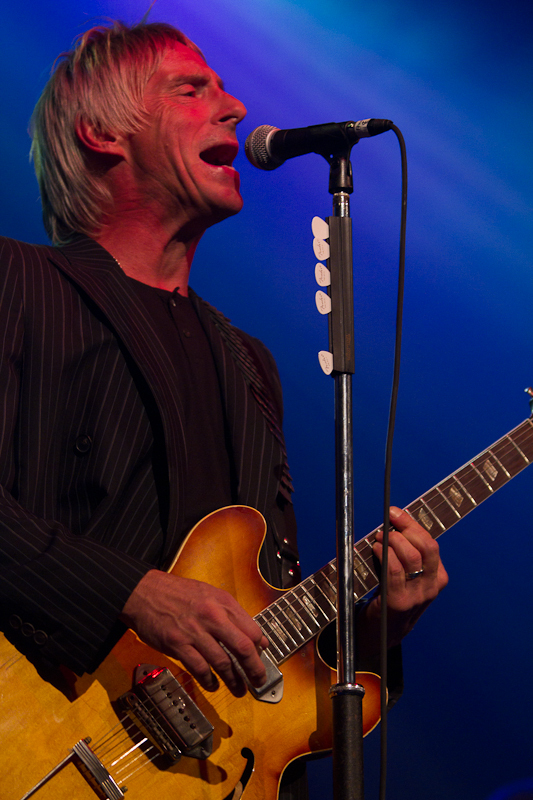 Next Entry Paul Weller In Cardiff!